Anaconda is the “First choice, One Stop, Outdoor Adventure & Sporting retailer”. Its mission is to inspire, equip & enable Australians with the best value and broadest range of outdoor adventure and sporting products, in an environment where visitors can take part in great activities and get the best local advice for their adventures. 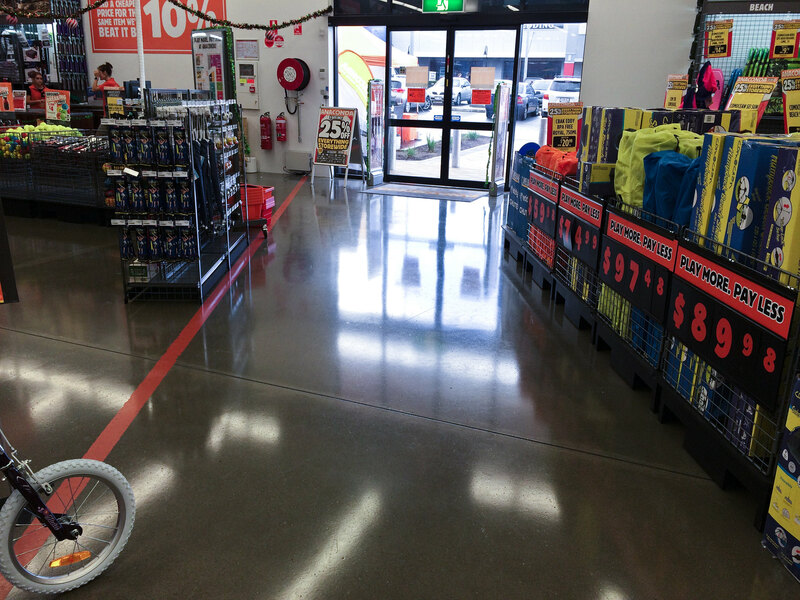 When you step through the door at Anaconda Noarlunga you have a floor by Arrunga Surface Solutions finished in Redrock, a hard-wearing, polished concrete finish that produces a seamless, gloss surface. With a warm glow and a rustic finish, Redrock polished concrete floors provide an economical option for any commercial or residential setting.